Hi sweet readers! I hope you're Thanksgivings left your hearts even fuller than your bellies. Ours was a sweet time with some of my favorites, indeed. 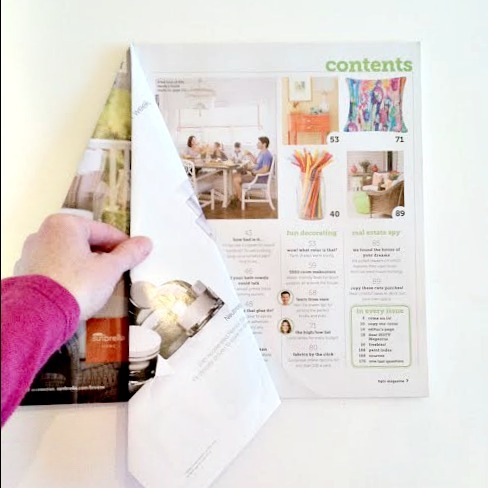 As this first holiday weekend approaches I wanted to share a quick holiday DIY with you, (in case you're itchin' for an easy festive project)! This is definitely one of those on-the-couch-watching-a-cheesy-holiday-movie kind of projects. It doesn't take a smidgen of concentration - just 45ish minutes of time! This idea was shared with me recently by a couple of dear, (and creative! ), friends; I'm merely passing it along! Hope you enjoy! 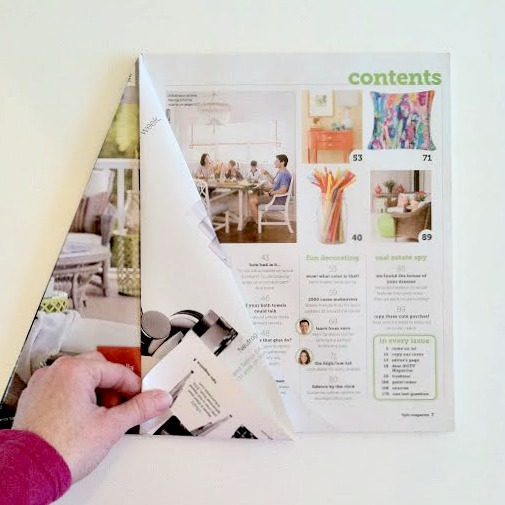 All you need are two magazines and a hot glue gun! 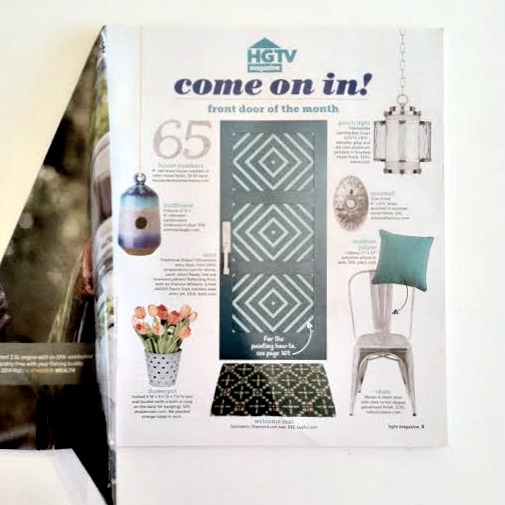 Thanks for the supplies, HGTV Magazine! 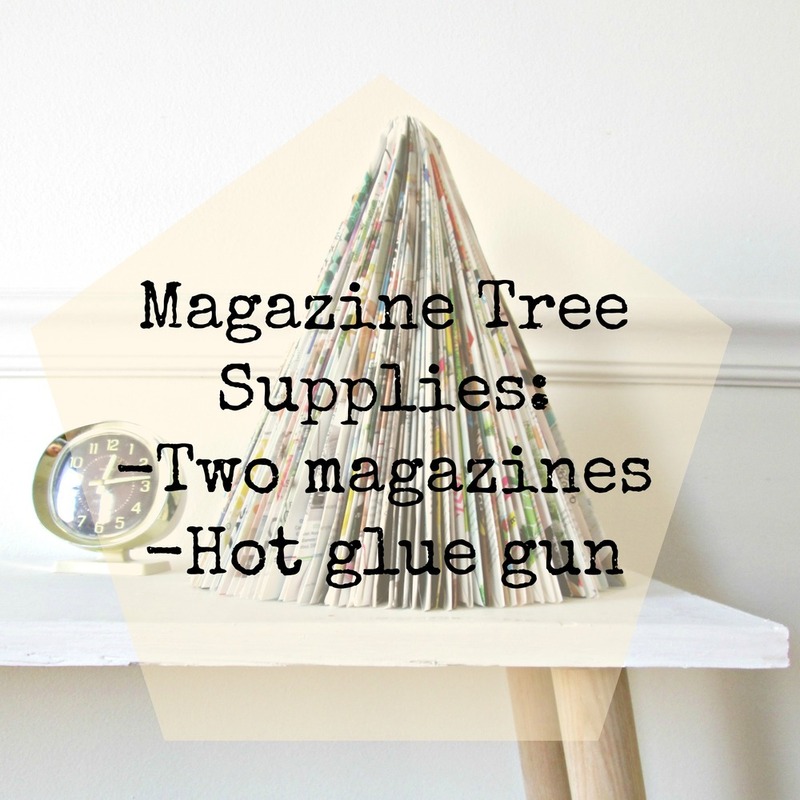 Each magazine will make up one half of your tree. 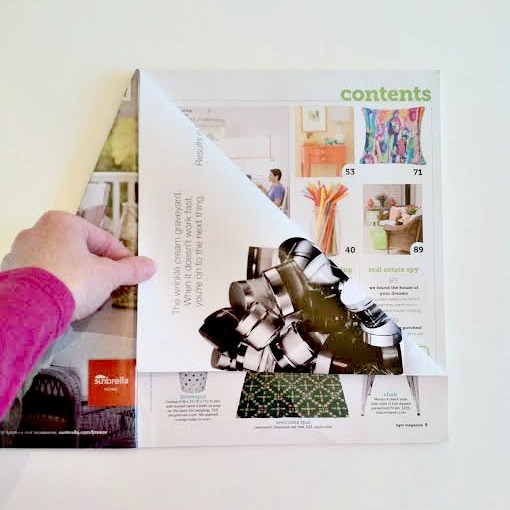 Just lay the magazine in front of you, and page by page, make the following folds until you've done every single page. This is especially nice if you have a narrower surface, or find your surface space disappearing as you bring out the boxes of Christmas décor from the attic! If you want the full tree, just grab a hot glue gun and glue the two halves together right down the middle! Check these out from ThreeDogsNappin on Etsy! Have yourselves a merry weekend! Thank you for stopping by!